For additional information about this book, visit the website www.mascottistrategies.com. In the Mascotti Family, you don’t ever give up. When you get knocked down (whether by your brothers or breast cancer), you get back up and keep moving. 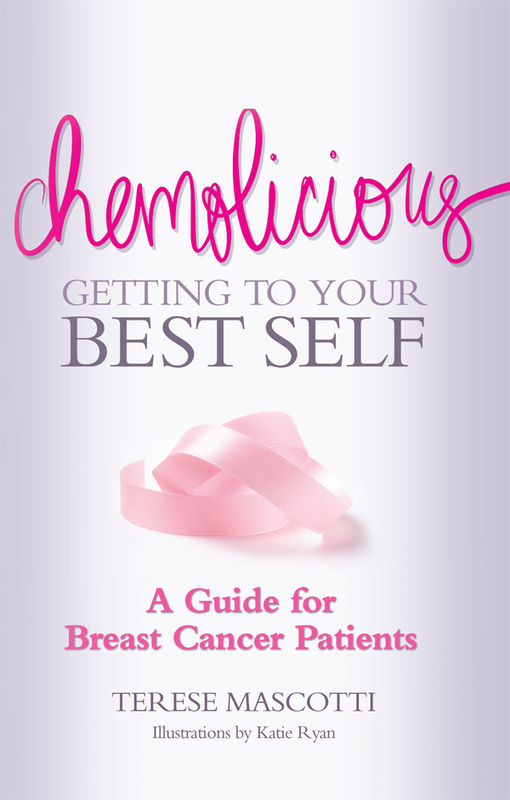 Chemolicious: Getting to Your Best Self is a guide for breast cancer patients, their families and friends on how to manage the non-medical journey through the chemotherapy treatments. This perspective is lined with humorous anecdotes and candor from Teri’s own journey. Her desire is to help others feel "Chemolicious" during this hellacious test. Every cancer is different, every outcome is different; but wanting to feel and be your best is a human condition that should never stop. There are no pretty pink platitudes in here. What you will read are Teri’s stories of the good (“if you lose your hair in winter, you’ve got a ton of hat options”), the bad (“steroids make you puffy”), and the ugly (“they can tell you exactly when your hair will fall out") of dealing with breast cancer. All written with the wit and wisdom of a woman who has been in your shoes.